Epsom Races. 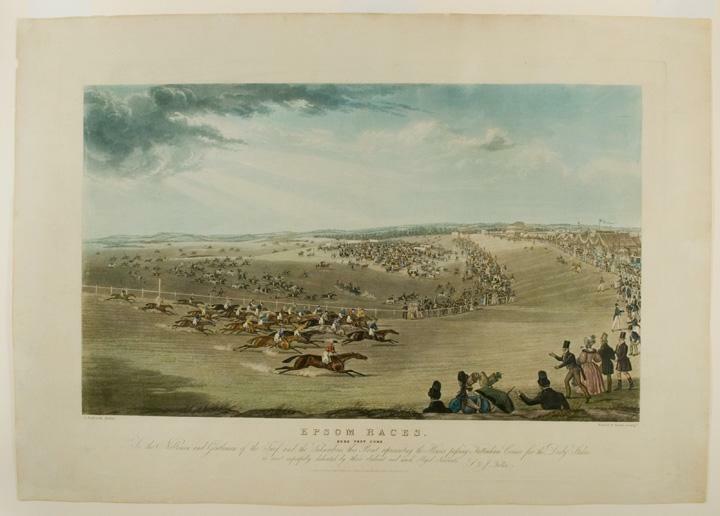 (PAIR) Now they&#39;re off To the Noblemen and Gentlemen of the Turf, and the Subscribers this print representing the Start for the Derby Stakes. [and] Here they come. To the Noblemen and Gentlemen of the Turf, and the Subscribers this print representing the Horses passing Tattenham Corner for the Derby Stakes.